We are a team of professional writers with experience in writing unique content on various topics. 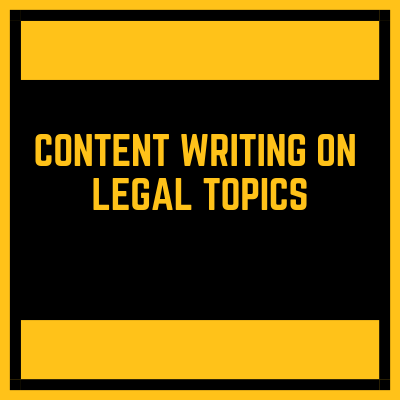 In this service you will get one article of 500 words on legal topics and all possible topics including but not limited to, adult, comedy, story writing, business, finance, Information technology, SEO, digital marketing, cryptocurrency, technology, history, Indian Politics, global politics, health, kids, pets and many more. * Highly qualified native English speaking writers. If any more details needed, please contact us first!